Laura Ingalls Wilder, author of the beloved Little House on the Prairie, tells of her first encounter with an asphalt pavement. She was on a wagon journey with her parents in 1894 that took them through Topeka. “In the very midst of the city, the ground was covered by some dark stuff that silenced all the wheels and muffled the sound of hoofs. It was like tar, but Papa was sure it was not tar, and it was something like rubber, but it could not be rubber because rubber cost too much. We saw ladies all in silks and carrying ruffled parasols, walking with their escorts across the street. Their heels dented the street, and while we watched, these dents slowly filled up and smoothed themselves out. It was as if that stuff were alive. It was like magic. Today, this dark, resilient material covers more than 94 percent of the paved roads in the United States; it’s the popular choice for driveways, parking lots, airport runways, racetracks, tennis courts, and other applications where a smooth, durable driving surface is required. Called at various times asphalt pavement, blacktop, tarmac, macadam, plant mix, asphalt concrete, or bituminous concrete, asphalt pavements have played an important role in changing the landscape and the history of the U.S. since the late 19th century. But the story of asphalt begins thousands of years before the founding of the United States. Asphalt occurs naturally in both asphalt lakes and in rock asphalt (a mixture of sand, limestone, and asphalt). We know that the ancient Greeks were familiar with asphalt and its properties. The word asphalt comes from the Greek “asphaltos”, meaning “secure.” The Romans changed the word to “asphaltus,” and used the substance to seal their baths, reservoirs, and aqueducts. Many centuries later, Europeans exploring the New World discovered natural deposits of asphalt. Writing in 1595, Sir Walter Raleigh described a “plain” (or lake) of asphalt on the Island of Trinidad, off the coast of Venezuela. He used this asphalt for re-caulking his ships. Despite these early uses of asphalt, several hundred years passed before European or American builders tried it as a paving material. What they needed first was a good method of road building. Englishman John Metcalf, born in 1717, built 180 miles of Yorkshire roads. He insisted on good drainage, requiring a foundation of large stones covered with excavated road material to raise the roadbed, followed by a layer of gravel. Thomas Telford built more than 900 miles of roads in Scotland during the years 1803-1821. “He perfected the method of building roads with broken stones, laid to a depth according to the weight and volume of traffic it would have to carry,” Gillespie writes. Telford’s contemporary, John Loudon McAdam, taught himself engineering after being appointed a trustee of a Scottish turnpike. McAdam observed that it was the “native soil” that supports the weight of traffic, and that “while it is preserved in a dry state, it will carry any weight without sinking.” To construct his roads, McAdam used broken stone “which shall unite by its own angles so as to form a hard surface.” Later, to reduce dust and maintenance, builders used hot tar to bond the broken stones together, producing “tarmacadam” pavements. The first bituminous mixtures produced in the United States mixes were used for sidewalks, crosswalks, and even roads starting in the late 1860s. In 1870, a Belgian chemist named Edmund J. DeSmedt laid the first true asphalt pavement in this country, a sand mix in front of the City Hall in Newark, New Jersey. DeSmedt’s design was patterned after a natural asphalt pavement placed on a French highway in 1852. DeSmedt went on to pave Pennsylvania Avenue in Washington, DC, a project that included 54,000 sq. yds. paved with sheet asphalt from Trinidad Lake Asphalt. The durability of this pavement proved that the quality of the asphalt found in the Americas was as good as that imported from Europe. With over 50 years of combined industry experience, the pros at ACPLM are experts at what they do. Our full service concrete repair and pavement services range from complete installation to minor maintenance projects and everything in between. Call 888-959-9637 today to speak with one of our trusted advisers. Since opening our doors, ACPLM Inc. has been serving the paving and concrete needs of Central Florida from Tampa Bay to the Orlando area of Florida. We work with property managers, facility managers, HOAs, and Condo Associations to offer fast & friendly estimates and knowledgeable consultations. What is the Best Weather for Sealcoating? Crews are always spot on and courteous.Cannot say enough good things. Working with ACPLM is so easy! Service that I receive on my jobs whether big or small is always great! Communication is great. They repaired a Bollards job, that was hit by a truck on our company property, quick service, reasonable prices, overall great experience! Work performed to high standard. On time completion and within budget. We are completely satisfied and content with the work performed. Excellent job. We chose the "right" company for the job. ACPLM has got to be one of the best paving companies I've ever had the pleasure to work with. Thank you ACPLM. 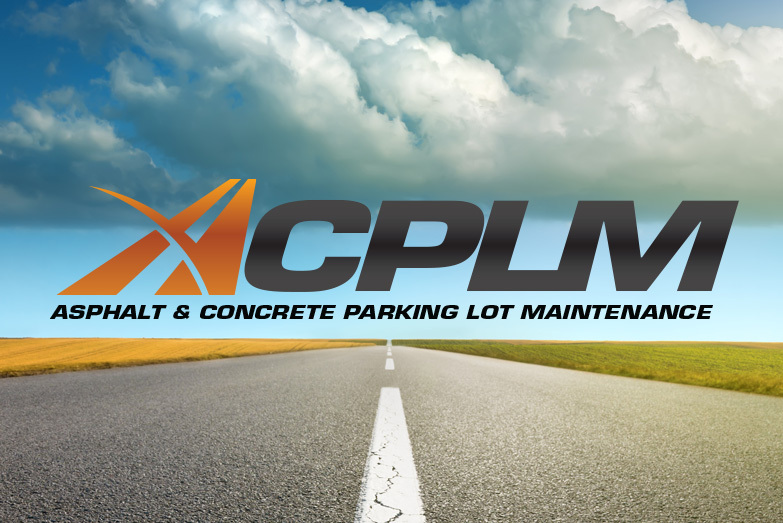 ACPLM Inc. has been servicing the parking lot management, paving and concrete needs of Florida and the Greater Tampa Bay Area for many years. We work with property managers to offer timely estimates and knowledgeable consultations. Give us a call today to see how we can help you lower your paving costs and improve your properties.